Doubles will resume in 2010 when we have sufficient daylight to complete a round. Check back for details. Online Pre-Registration will be opening within the next week!! We'll send out an email as soon as it becomes available. Go ahead and mark your calendars for Sept 17th & 18th. This is sure to be an awesome time!!! - Over $1000.00+ in added cash split b/w the Pro & Am field!!!! - Tons of CTP's!! / CTP's per division! - Onsite Catering for Lunch! - Players Party Saturday Night! - Other fun activities (Ring of Fire,etc..)! Player Pack includes hot-stamp event disc! Presented by Common Ground ENC, this is a one-day, two-round fun fundraiser tournament. For more information, contact Jessica Seymour. More details and online pre-registration coming soon. More details and online pre-registration available here! KDK Random Draw Doubles will start in late March 2009. Check back here for details. Signup between 5:30 - 5:45. We'll start as soon after 5:45 as possible. GVDG Doubles will start on Monday April 14, Signup between 5:30 and 5:45 at the shelter. Play the white(short) pads on Mondays and the blue(long) pads on Thursdays. Usually [their] monthlies are on the third Saturday of each month but they can change based on other local events. The best place to check to see when the next monthly is occuring is at our events page. If you know of other regular events in the region, please email us with details. These events are usually held on the second or third Sunday of the month (check the schedule or news section for the latest updates). Registration for the events starts at 9:30am and tee time is 10:00 am (unless otherwise noted.) Check the web site for details. "This is a series that goes to various disc golf courses in eastern North Carolina to help promote the growth of disc golf. One event is held each month in a different location. At each event, there are winners based on divisions and there are also points that are tracked for a year long competition.Along with this there are also closest to the hole prizes and an ace pool that contestants can win. The entry for each is event is $10 for pros and $5 for all amateurs. The optional ace pool is $1. If no one claims an ace at an event, the ace pool is carried over to the next event. At all private courses there will be an additional $3 added to the entry fee. This is to help out the owners of the course. These events are held on the second Sunday of each month. Registration for the events starts at 9:30am and tee time is 10:30 am (unless otherwise noted). " Contact Max Crotts for schedule and additional information. The Onslow Flying Disc Association (Onslow FDA), in association with the Professional Disc Golf Association (PDGA) and the Jacksonville Onslow Sports Commission, are hosting the 2010 PDGA United States Women's Disc Golf Championship on September 24–26 in Jacksonville, NC. Visit their web site for more information. Don't miss this event! 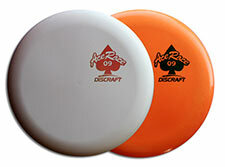 $25.00 - includes 2 Discraft prototype Ace Race discs, hat, full-color mini and bag tag. You can start any time in this range as long as your second round starts by 11:30am. Pre-registration is appreicated and will assure you of a player pack. We will have limited number of unassigned player packs, too. This is a fun event and all are welcomed. All holes will be shortened to encourage aces. This is one of eastern NC's premier events. It's always lots of fun and great competition, drawing players from all over the state and beyond. Don't miss this chance to play SuperClass in the woods of Barnet Park in Kinston. This will be a laid-back, fun chance to try the course a whole new way. 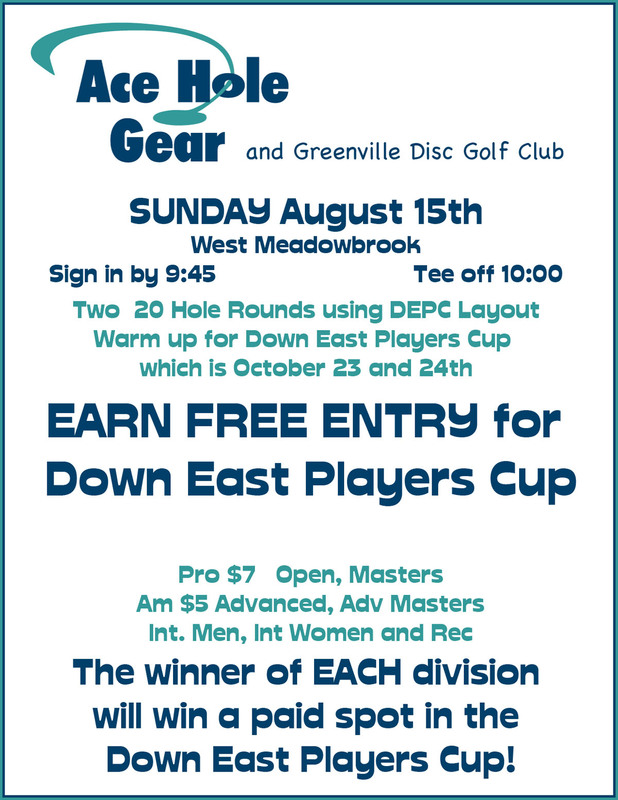 It's also a great way for new disc golfers and Ultimate players to get a feel for PDGA tournament competition. Please note that this is a PDGA-sanctioned event. Because it is a Super Class event, non-PDGA players will not have to pay the usual $10.00 fee. Every one is welcomed to play. We will have all divisions for which there are sufficient numbers of players. Pre-registraiton is recommended. The event will be limited to 72 players. Should be FUN. You will also be able scout out the new concrete (planned pour 8/14/10) for now 4 tee pads for 10(already in) and permanent pads for previous temp A and temp B plus 2 long alternate and concrete 12 long. The winner in each division will win a paid spot in the DEPC! Download the Flyer and post it! $10 entry plus 2 Canned goods. Mulligans will be available, so bring extra cash. It all goes to charity. Schedule and details for the 5th annual King's Cup coming soon. Put the dates on your calendar. You won't want to miss this one! Don't miss it! Informal fun after the elves have done their work. Tee-off: 10:00am, or something close to it. See PDGA event page for more info. Download the poster in PDF form for more info. 2-round fund-raiser for concrete tee pads! First of 2 fund-raiser events to help collect funds to install concrete tee pages at Genburnie park's course. First of 2 fund-raiser events to help collect funds to install concrete tee pages at Genburnie park's course. Another Compete for Concrete event will be held Nov. 14. Each player (up to 50, while supplies last) will receive a custom stamped Innova Zephyr, so you will have a SuperClass disc to play with. Joel will have the "big box of lids" there, too, if you need to buy something else, like an UltraStar, or Pulsar, or SuperHero. We even have some very unusual heavy SuperHeros in DX and Star plastic. For lots more information, see the PDGA discussion thread for the DEPC. Pre-registration online is recommended. This will probably fill early. This year, they're doing a western theme. This is a really fun event you will not want to miss. It will be played on a modified 20 hole layout. Lots of prizes and side events. This year's disc model is officially named the "Focus" and is PDGA-approved for tournament play. This is going to be a popular putter. Last monthly of the 2008-2009 Season. This is your last chance to add some points for the year. We start over next month. Bag Tag program will start at this event, so be sure to play. It's your best chance to start with a low number. For more details, contact Joey Swaney or Joel Smith and check back here soon. There will be a Late Fee of $10.00 for Late Reg. For more information, visit the Lumberton Disc Golf Association web site. Details and online registration available now! Great opportunity to get warmed up for th King's Cup IV! And the ace pool's getting big. Don't miss the fun. Monthly-style event with Super Class plastic only. Bring your Zephyrs, Pulsars, Ultrastars, etc. and give this new disc class a try. This is an informal, fun 2-round event. It's also a fundraiser for the King's Cup IV. Please note, this is not a PDGA-sanctioned event. Not sure what "Super Class" is? Check out the PDGA's description of the new Super Class. Signup 9 - 10am, Players meeting 10am and 10:30 start. Home Grown is age-restricted, 18 and older only. More info on the Home Grown Tour is available on the 2008 Home Grown Series web page. Signup 9:30-10AM, Entry $10 Pro, $5 Am, Optional $1 ace. Signup and first round at Engelwood. Second round at Farmington. Completely casual random draw doubles. One round from the short tees - nothing complicated. This is one of eastern NC's greatest disc golf events. If you missed it, you really missed it! Congratulations to Kinston players Steven O'Dell - 1st, Intermediate Men; Christian Smith - 2nd, Intermediate Women; Joel Smith - 4th, Advanced Masters. More info..
$10 Pro, $5 Ams, optional $1 ace pool. This is the first monthly of the 2008-2009 season. The points series starts over this month, so don't miss your chance to take an early lead. We'll also have awards for winners of the 2007-2008 series that ended last month. There may be some minor changes this year, and we're sure you'll approve. Come out and play! Four rounds, four courses - crazy fun. Complete info and registration forms on their web site. Tax Tourney Monthly. 10% of everyones entry fee will go to Gardner's for Hope, a local breast cancer charity, donations welcomed. Signup starts: 9:30 First round: 10:00. Entry $10 Pro, $5 Am, optional $1 ace pool. There is One Moe Tournament left on the Eastern NC points series, and this is it! Sign-in by 9:30am, tee time 10:00am. Normally, our monthlies are the first Sunday of the month. Due to the Fall Classic falling on the first Sunday in November, we rescheduled for the 11th this month. Click here for PDF flyer with full info.. Thanks to everyone who came out to play or help out. Together, we raised over $800 for ICOR. The Robert Wynne Memorial is a charity event. All proceeds are donated to the Wynne family. For resultss and a list of our sponsors, please see our Ice Bowl page. If you have an event you would like to add to the list, please email info@kinstondiscgolf.com with details. Also see our forum for announcements.